Here at Vision Advertising, we make a lot of websites, and do a lot of reporting. The two are very related. Regardless if the site is for a restaurant or a rotary manufacturer, they all have one thing in common – we set up a Google Analytics account for them and install a tracking code. (Okay, well technically they all have two things in common since we also use WordPress.) While clients may or may not want regular reporting done, this basic setup gives both them and us the information they need to know about their website health – if they can read it. That’s what this blog is all about. Google Analytics is a website analysis service provided by Google. By installing tracking software on your website, it allows you to track and produce reports on website traffic – the people visiting your website. This is part of their Google Marketing Platform that when combined with the information from Google Search and Google AdWords provides some pretty key information on your site. As the term marketing implies, this information is best used to inform decisions and changes to your website to improve traffic, conversions (forms and purchases), and generally “improve the ROI” of a site. Since your platform or proficiency might vary, I won’t try to walk you through it here. If you’re interested in doing it yourself, check the documentation on your website and then use this helpful guide provided by Google. Once Google Analytics is set up, you’ve got two things to do. The first one is to jump onto your Google Analytics account and make sure everything is hooked up. Check your notifications and make sure your tracking code is doing its job. The second thing to do is wait. Like we explain to clients, website traffic is only useful on a larger scale. The more traffic and time you have the more trends form. You need a baseline before you can find anything useful. I recommend waiting at least a week before doing your first deep-dive. Check in once every few days to make sure the data is coming in. Otherwise, it’s business as usual. Once that time has passed, jump into the account and check out the following sections for the most information. Once logged into Google Analytics, check the sidebar. The three following sections – Audience, Acquisition, and Behavior are going to be your three best friends for primary data. Date Range: Upper right corner is your date range. This usually defaults to the last week. I recommend opening it up to the last 30 days once you’ve got the data to do so. Users and Sessions: Two related pieces of information, users are unique visitors and sessions are total sessions. More sessions than users equals the same users coming back multiple times. A useful metric for retention and reoccurring visits. Session Duration: How long are users on your website? A low duration is an indicator that users are losing interest or you’ve got a bot problem. Bounce Rate: Some companies obsess over a low bounce rate. Industry standards vary, but the rule of thumb is that the more content driven you are (blogs, etc.) the more visitors and the higher bounce rate. Somewhere between 40% to 80% is within the average, though YMMV. Organic: This is your search traffic. If you have strong SEO, search rank, and content (such as blogs), you’re likely to have a high organic traffic as people find you on Google. Paid: Do you use a lot of Google Ads? From Paid Search to YouTube, if you’re running ads, here you can see what percentage of your monthly traffic you pay for, giving you the ability to know what exactly you’ve been paying for. Direct: These people are going directly to your site – no search engines or hyperlinks required. Often sources of return traffic for those who have you saved in their bookmarks or browser history. Social: Google Analytics takes all the major social media channels – Twitter, LinkedIn, Facebook, Instagram, even Pinterest – and puts them here. Active on social media? Running social media ads? Here’s where you can measure their impact and what they do on your site. Referral: This can often be the most exciting form of traffic, where third-party websites link back to you. News releases, blogs that cite your work, and other forms referrals can give you insight into who else loves your work and even help you build partnerships. So, what pages do people visit when they come to your website? On the Behavior overview tab and the Site Content subsection, you can see a listing of your pages ordered by most visits. What are your best-performing pages? Often your home page will be highest, but where else are people visiting? Your “About” page? Is a blog standing out? Take a look at your most visited pages and use that information to improve them or replicate them for more traffic and conversions. Lastly, the Behavior Flow shows what order users visit your pages and where they drop-off. This can be useful for troubleshooting why visitors leave your site. If people are starting on your home page and going to your about page before dropping off, what are you missing on that page that users want to see? What’s on there that’s turning them off? How can you make users visit multiple blogs in a single sitting? Following Seasonal Trends: Once you have traffic running for a while (ideally a year), you can track seasonal trends. Depending on your industry, this can help you know when you need to up advertising to make the most of interest spikes or fill in the weak months. Analyzing Useful Traffic: Depending on your service, you might only care about traffic from certain regions. Likewise, you’ll not care about bots (mass traffic with short session duration). Removing these with view filters can help you better assess “real” traffic. Balancing Organic Content: Do you have blogs that are raking in the traffic? If other blogs about the same subject aren’t delivering the same amount, look about complimentary – not competing – content. Adjusting Third-Party Presences: Where are your referral and social traffic sources coming from? Look at where you’re strong and weak, and plan accordingly. From press releases to social media ads, you can use this data to make informed decisions. Closing Exit Loops: Have places where users are dropping off the site? Figure out what you can do to keep users interested. From CTAs (Calls to Action) to additional articles, the longer you can keep users interested the more likely you are to close a sale. 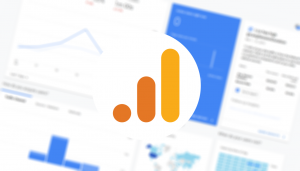 We’ve already covered a lot of ground today, so let me leave you some food for thought: regardless of your current marketing plans, you should get Google Analytics installed on your website. Since data isn’t retroactive, the sooner you start it, the more useful it will be in the future. When you do look at partnering with a marketing agency, this data is invaluable for everything from a marketing plan to a new website. If you’d like to learn more about data-driven marketing, feel free to reach out to us at Vision Advertising.